Canada has a federal system of government. Areas of lawmaking are divided between the national government and the provinces. 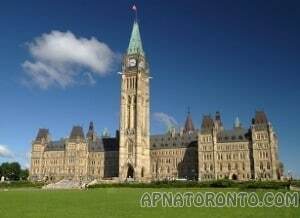 Canada’s system of government is based on the British parliamentary model. Canada is considered a constitutional monarchy. The British monarch, currently Queen Elisabeth II, is in theory the head of the country. In fact, the Queen is a nominal figure with little actual power. She has a representative living in Canada to fulfil her duties. That position is called the Governor General. This is mostly a ceremonial role. The Governor-General acts on the advice of the prime minister and cabinet. The real power lies with the Canadian parliament. It consists of two parts, the House of Commons and the Senate. Members of Parliament are elected to the House of Commons. An elected MP represents a certain geographic region in the House. Most MPs belong to a political party. The party with the most elected members forms the government, with the leader of that party becoming prime minister. The prime minister forms a cabinet, which are a group of MPs who become ministers in the government and take on an executive role. All decisions by the cabinet must be approved by a majority of members in the House of Commons. Following approval by the House of Commons, all legislation must be passed in the Senate. Often a formality, the Senate approves legislation passed by the House since its members are appointed, not elected. Finally, legislation must be approved by the Governor General representing the Queen. Federal government responsibilities include defence, citizenship, foreign affairs, money and banking. The provincial system is similar to the federal. A lieutenant governor represents the Queen provincially. The leader of the elected provincial government is called the premier. The premier also heads a cabinet selected from members of the governing provincial party. All legislation must be passed by a majority in the legislature. Following this, the lieutenant governor gives final approval. There is no provincial senate. Provincial government responsibilities include health care, education and welfare. Each province has jurisdiction over local governments. Municipal politicians are elected by the local community. The leader of the municipal council is referred to as the mayor. The mayor presides over a council, which takes on the role of both a cabinet and parliament. Local councillors tend to be more independent of party affiliation, although they do form alliances. Legislation needs to be approved by the majority of the council to be passed. Some municipal government responsibilities are divided between a small city or town Council and a larger regional one. Responsibilities of municipal government include water, sewage, waste collection and emergency services. 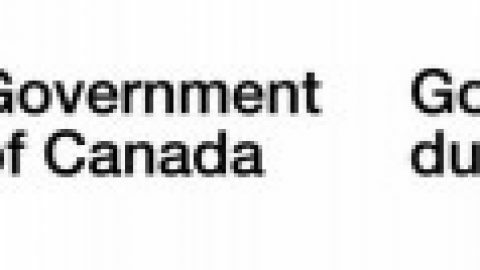 Canada’s system of government is constantly evolving. It is generally agreed that over time Canada has become more decentralized, as the provinces take on more duties. It is not known if this trend will continue.